Google Maps version 5 will be out some time over the next few days according to Android master, Andy Rubin, and you should all be very excited. The screenshot above is an image of what you can expect…yes those are 3D buildings. 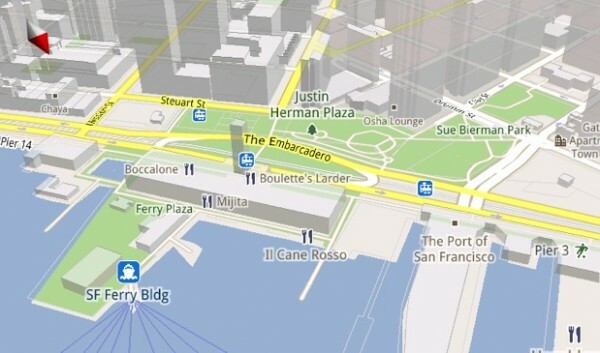 In this new version, Google has tossed in 3D maps, offline caching, vectors to allow for faster map rendering, and better compass support. To see Google Maps 5 in action, check out Rubin on stage at D: Dive Into Mobile where he put on a full preview of what’s to come.